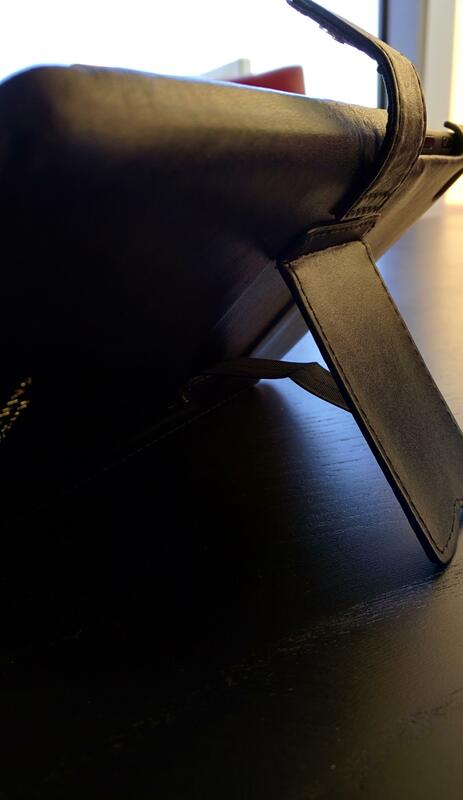 Having used the Tradition B case for my Nexus 7 case now for a few weeks I can comfortably say it is one of the most elegant and functional cases I’ve had the opportunity to review. The quality is outstanding both in materials used and in the construction of those materials and it comes together in a professional, stylish and functional case that protects my tablet all at the same time. There are cases for protection and cases for looks and every once in a while you find one that does both for your devices. For me, both are equally important and one of the best at providing both of these is Noreve. Noreve is a French company who has been making leather cases and accessories for mobile tech for years and I have been fortunate enough to review some of their products in the past. Recently they sent me the Traditions B case for the Google Nexus 7 tablet and it is, as I expected, superb in every way. The Noreve experience starts with the box and dust bag for the case when you receive it. The box is a heavily constructed red and black box that along gives you a sense of the styling and luxury of the case. Open the box and you see the bright red dust bag in which your case is found, again, portraying the luxury of the case. 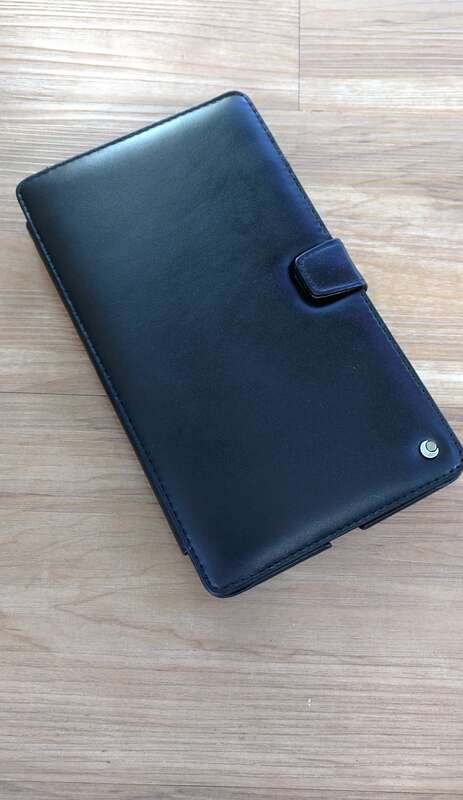 When you first pull the case from the dust bag you are hint with the scent of high quality leather that makes up the construction of the Traditions case for the Nexus 7. Regardless of the style of case you select, the leathers are soft and supple to the touch. a black interior. The Perpetuelle range is Noreve’s most traditional of finishes available but they have a wide range available to meet your wants and needs with some styles being more masculine or feminine than others. Handling the Noreve case for the first time is a pleasurable experience. First, the Perpetuelle leather is soft, supple and on first touch you get a sense of the quality of the leather the company has used in making of the case. Second, if the tactile input wasn’t enough, will be the smell of the leather. Many cases that I have reviewed here that have been made of leather have a chemical smell from either the bonding of the leather to the plastic casing that is the skeleton of the case or by the treatment of the leather itself. For Noreve that is not the case. You get the smell of leather. Unadulterated leather and it is wonderful. The Tradition B case for the Nexus 7 is a book-style case with the front side of the case being held closed by a magnetic button snap. The front flap of the case is thickly padded to protect the screen of your Nexus 7 from the outside while the back of the case is a fully leather covered plastic shell to cradle and protect the back of it. On the front lower right corner you will see the Noreve logo in silver sewn into the case while on the back you will see precision cut holes for your Nexus 7’s camera, speakers and microphone. At the base of the case is a precisely cut notch for the USB cable to connect to your Nexus for charging. Looking around the case you see what I think is a trademark of Noreve cases which is the precise, even and tight stitching of case. Looking at the case both inside and out you will see this small attention to detail everywhere and it brings out the quality and care they put into the construction of their products. which holds your Nexus 7 is also covered in leather with the Noreve name embossed throughout as with all of their cases. Inserting your Nexus 7 into the case is easy and done by inserting one side of it under the small lip on the inside of the case then pressed down the other side and snapping it into place inside the case. The two lips that hold your Nexus in place are small but secure and are not a distraction to the look of the device inside it. When you close the case you will note that your Nexus 7 goes to sleep. Noreve has included magnets inside the front flap of the case to trigger the sleep mode when the display is covered, something Google built into the Nexus 7 but ironically the Google branded case for the device does not take advantage of in their designs. The added benefit for you as a user is that you don’t have to worry about turning of your Nexus when you close the Noreve case. It does it for you and of course wakes it up when you open the front cover of the case. have it on your Nexus 7 you should never have to remove it. 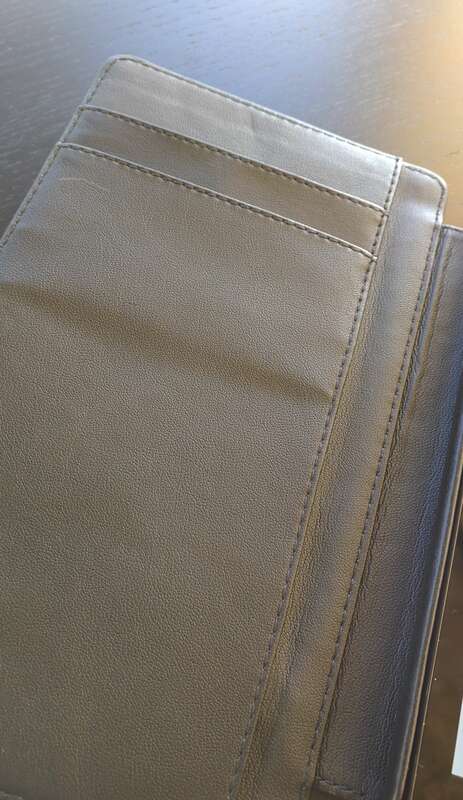 Lastly, on the exterior of the back of the Noreve Nexus 7 case you will see a small leather flap that snaps into place. This is a stand for your tablet so you can use it on a desk to type. To use it just unsnap it from the back and pull the leather tab out from the back of the case. 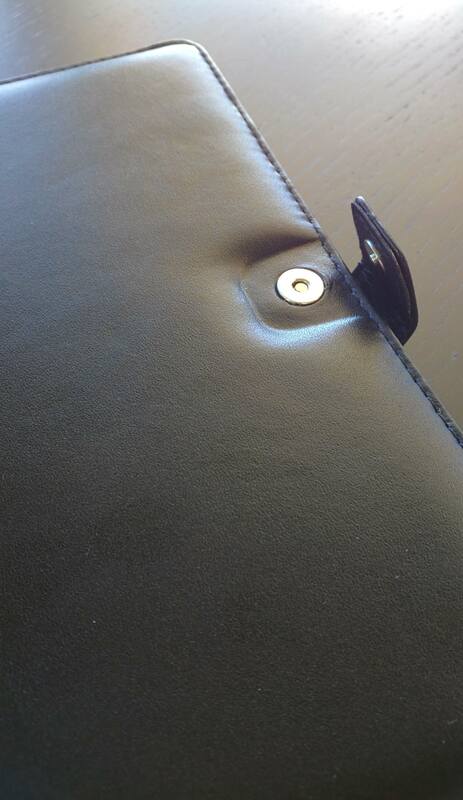 It is secured by a small fabric strap inside the flap so don’t worry about it not holding your Nexus 7 up securely. Place your device on the table or desk and it is positioned at a easy-to-type low angle, unlike many other cases that are nearly vertical. This makes it far-and-away one of the easiest cases to use while typing on my Nexus 7 that I have found. It is another attention to detail that Noreve has shown that makes this case functional when in meetings or even on an airplane. The low angle gives you better visibility to what you are typing as well as a more comfortable angle in doing so. professional, you know that looks are important. 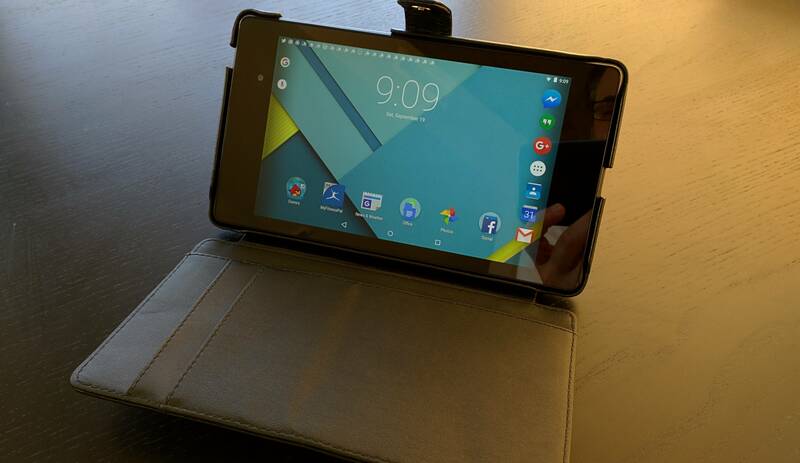 This Noreve case looks the part and anyone should feel comfortable carrying their Nexus 7 into a meeting. The Noreve Tradition B case starts at $65 and is available directly from Noreve. All of the Noreve cases come with a lifetime warranty and all include free shipping worldwide. The company makes a wide range of cases for devices including the Nexus 6, Nexus 9, Samsung Galaxy S6 and Galaxy Note 5. To order yours visit Noreve at http://www.noreve.com.